5 Things That Could Definitely Go Down On This Sunday's Episode of "Game of Thrones"
THIS TEXT CONTAINS SPOILERS. READ AT YOUR OWN DAMN RISK. Season 7 of Game of Thrones is shaping up to be a good one. Although we’re only two episodes into this season, we’ve already seen some crazy events go down – reunions, deaths, battles. And, with episode 3 airing this Sunday – we have some ideas as to what may go down. HBO released some still shots and shot cuts of “The Queen’s Justice,” and – we’re pretty excited to see how everything will unfold. 1. Arya Stark & Sansa Stark Reunion. In episode 2, Arya Stark found out from an old friend, Hot Pie, that her brother, Jon Snow, was alive and the new King of the North. After finding this out, Arya decided to return home to Winterfell to be reunited with her family. But, little does Arya know that Jon Snow is no longer at Winterfell and on his way to Dragonstone to meet Dany. He also left Sansa Stark in charge of the North. We also know that Littlefinger has been in Sansa’s ear for quite some time – admitting to Jon Snow in episode two that he “loves Sansa.” With Jon gone, we all know Littlefinger is going to try to persuade Sansa to do as he says – but, Sansa’s been turning into a fierce b*tch, so maybe she’ll tell him to f*ck off. Regardless – Littlefinger happened to be someone who betrayed Sansa and Arya’s father, Ned Stark. Although Arya is unaware of this, it may eventually come to light and she may add him to her kill list she’s been planning for several seasons. Plus, Arya takes no sh*t from any man – so it’ll be interesting to see this reunion and how it plays out. 2. Jon Snow & Dany Finally Meet. Jon Snow is riding to Dragonstone with Ser Davos because Samwell Tarly sent a raven saying that he’s discovered Dragonstone sits on a mountain of dragonglass. Dany, who is holding court at Dragonstone, wants Jon to come and “bend the knee” to her as “queen.” It should be an interesting meeting as they both aren’t on the same page as to why they’re meeting. Dany thinks Jon will come and be her ally against the Lannisters at King’s Landing, while Jon is really going there because he wants to grab some dragonglass to defeat the White Walkers. Plus, no one realizes Jon is actually party of Dany’s big, weird, mad family just yet – only Bran – who, is somewhere out there, finding out even more wild, wild sh*t.
3. Ser Davos Could Reveal Melisandre’s Wrong-Doings. Davos hates Melisandre – point blank. She burned Princess Shireen at the stake – because she said the Lord of Light told her to in order for Stannis Baratheon to become king. Turns out, she was wrong and a little girl had to die because of it. If Davos finds out that Dany is allying with Melisandre – he may definitely blow up and tell her what she’s done. Dany isn’t a fan of people killing innocent children – as she’s lost a child of her own. On top of this, she’s always been against wrongful deaths. This could change Dany’s view of Melisandre entirely and cause a lot of drama on Dragonstone altogether. Episode two featured a very hot and steamy scene between Grey Worm and Missandei. While the two have always had a connection, they finally admitted their love for each other in an emotional and touching scene. 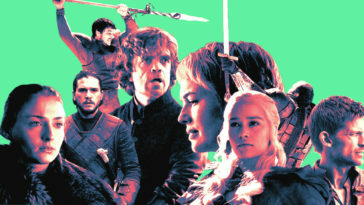 But, Game of Thrones is not an emotional or touching show at all – and whenever something is happy, it means something horrible is coming soon. We know Dany wanted to send Grey Worm to Casterly Rock to take the Lannister’s home base – as Tyrion suggested. Knowing this, he may face his unfortunate death. It’s just how the show always goes – sometimes it’s happy, but not too far off, someone is dying. 5. Cersei Gets Her Revenge. We know that Cersei’s daughter, Myrcella, was sent to Dorne to marry the prince. But, after Ellaria Sand had to watch her love Oberyn Martell die at the hands of the Lannsiters, she got her revenge by poisoning Cerei’s daughter and ultimately murdering her. 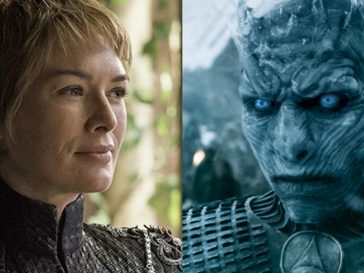 Cersei is known to take great, savage revenge on those who do her wrong – so, it’s no surprise she wants to get her revenge on Ellaria and the Sands. In episode two, Euron captures both Ellaria and one of her daughters – but doesn’t murder them. Why? Well, he did say that he was coming back to Cersei with a “gift,” and this could very well be the gift he was speaking of. He knows Cersei is cold-blooded and will probably hand over Ellaria and her daughter as a “token” to his Queen. And, knowing Cersei, she won’t let them go easy.